Description: Adore 45 Picture Sleeve RPM. Signed by Adore in black sharpie pen. Personalized to Chris. 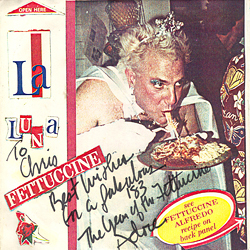 Note: Item signed on Adore's 1983 US Tour outside by the bus at the Whiskey in L.A. California. Description: My Favorite Martin 45 Picture Sleeve. 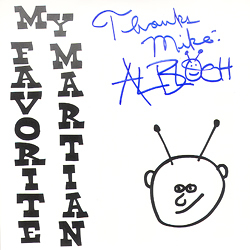 Signed by Al Bloch in blue sharpie pen. Personalized to Mike. Note: Item signed on Wool's 1995 US Tour at the Orbit Room in Dallas, TX. Description: 8x10 White Matt Index Card with 4x6 1990 photo. Signed in blue sharpie pen. Note: Item signed on Alannah's 1990 US tour at Reunion Arena in Dallas, TX. 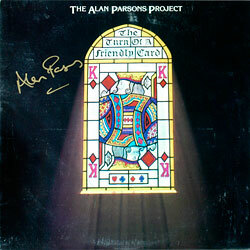 Description: The Alan Parsons Project The Turn Of A Friendly Card LP. Signed in gold paint pen. Vinyl included! Note: Item signed on Alan Parsons 1996 US tour at the Bronco Bowl Arena in Dallas, TX. 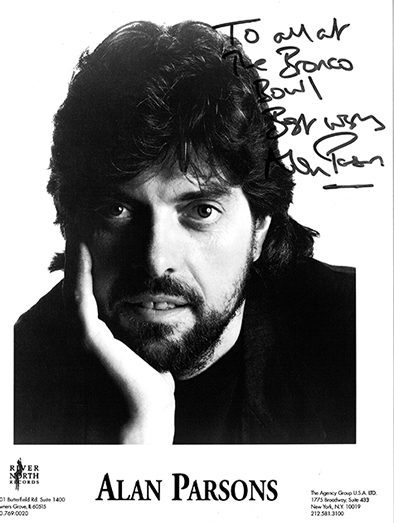 Description: Alan Parsons 8x10 BW Promo Photo. Signed in black sharpie pen. Personalized to The Bronco Bowl. 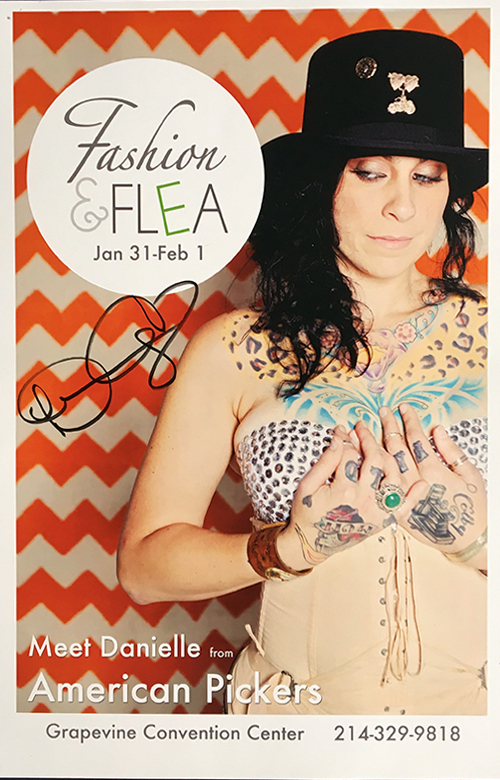 Description: 11x17 color poster signed by American Picker star Danielle Colby. Note: Item signed at the Fashion & Flea Show on January 31, 2014 in Grapevine, TX. 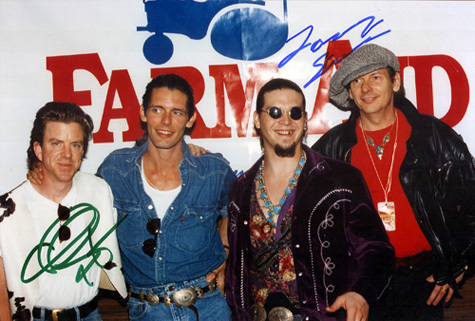 Description: 8x12 Color Photo signed by Chris Layton and Tommy Shannon in blue and green sharpie pen. Note: Item signed by the tour bus in 1994 at Deep Ellum Live in Dallas, TX. 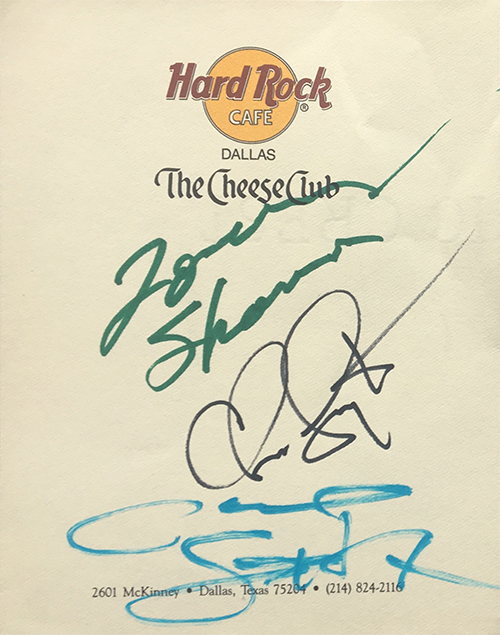 Description: Hard Rock Cafe Stationary Paper signed by Charlie Sexton, Chris Layon and Tommy Shannon black, blue and green sharpie pen. Note: Item signed in the press box office at the 1992 Farm Aid V concert at the Cotton Bowl in Dallas, TX. 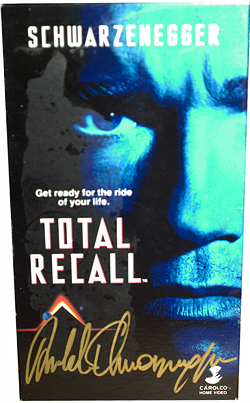 Description: Arnold Schwarzenegger Total Recall VHS Tape. Signed by Arnold in gold paint pen. Slight discoloration on box. Note: Item signed on at a 1996 political rally at the Bronco Bowl Arena in Dallas, TX. 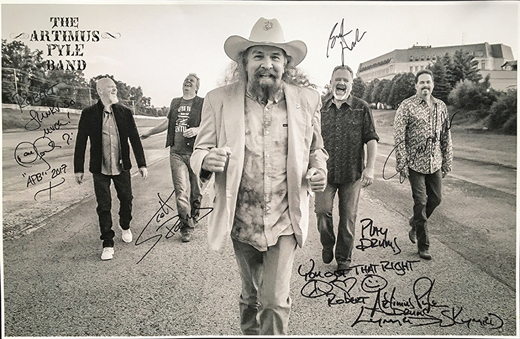 Description: Artimus Pyle Band Signed 11x17 Poster. Note: Item signed on their 2018 tour at the Texan Theatre in Greenville, TX.